I perform on a Roland Fr8X virtual accordion. When it is connected to an external sound module, I control the sound module to produce accompanying sounds, voices, and drum machine parts. 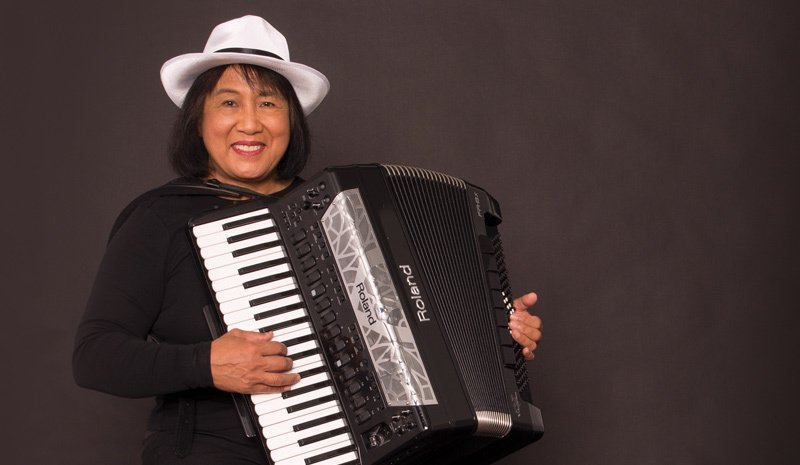 The outcome adds richness and fullness to the accordion and I become my own one-person band; hence my five-word descriptor,” Eclectic Accordionist in Orchestral Style”. My repertoire includes music from Italy, France, Spain, Latin America, Germany, Greece, and other countries. I play classic jazz, vintage and popular music from the 1850s to the 1980s — including 50s and 60s Rock and Roll and 60s and 70s classic rock. I also perform light classical music and music to commemorate the holidays! I have been a volunteer musician for the Port of Portland Music Program since July 2009.